Treating one tooth at a time, means that you will never have a nice smile. If the front teeth are chipped and worn, then crowning them one at a time or even all the top front teeth at the same time, means that the teeth when finished will look the same as they did before you started only “protected” from more destruction. If your looking in the mirror and wondering to yourself, why your front teeth are so short, they got worn down from having a bad bite. A chewing system that is breaking down and not functioning properly. On the bright side, these types of situations allow the least aggressive types of preparations for crowns and veneers. 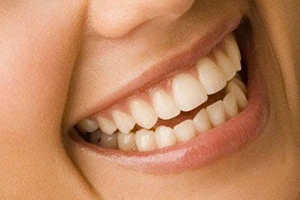 A normal length central incisor, the two teeth in the middle of your smile, is typically 10 – 11 mm long. If your tooth is substantially shorter, as they frequently are in situations of chewing system failures, that means to correct the look of the tooth, the dentist should have to add porcelain to the tooth to make it longer. If the dentist needs to add more than a millimeter or two of porcelain to the tooth, then the tooth only needs a very minor amount of contouring to get it ready for a porcelain veneer or crown. Restoring a tooth to its natural unworn length requires the dentist to address the chewing system failure by treating more than one tooth at a time. Here is an example of a full mouth rehabilitation. The patient had worn his teeth down and he wanted to have it corrected in the most conservative way possible. The lower third of his face was shortened from the tooth wear. 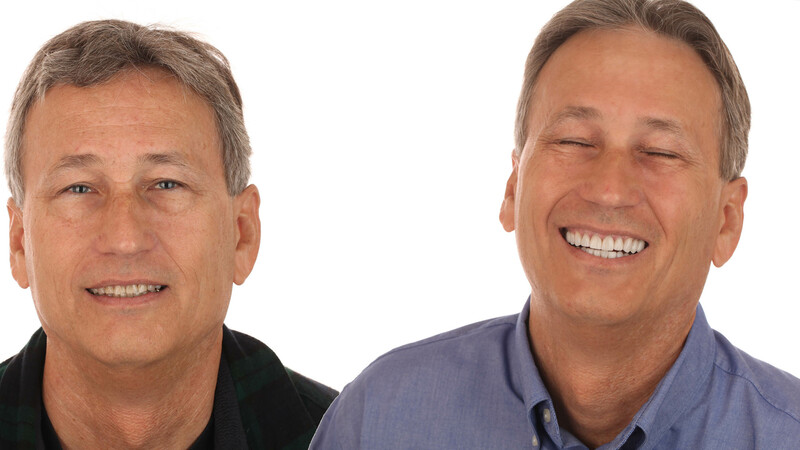 After the full mouth rehabilitation using conservative all porcelain veneer technique, the lower third of his face looked longer and created a more youthful look to the face. The before and after close up of his top teeth show the advanced wear on his teeth. He had literally lost almost half a tooth from having a bad bite. Crowning these teeth to keep them from wearing down would have resulted in making them even smaller and still having small crowns. 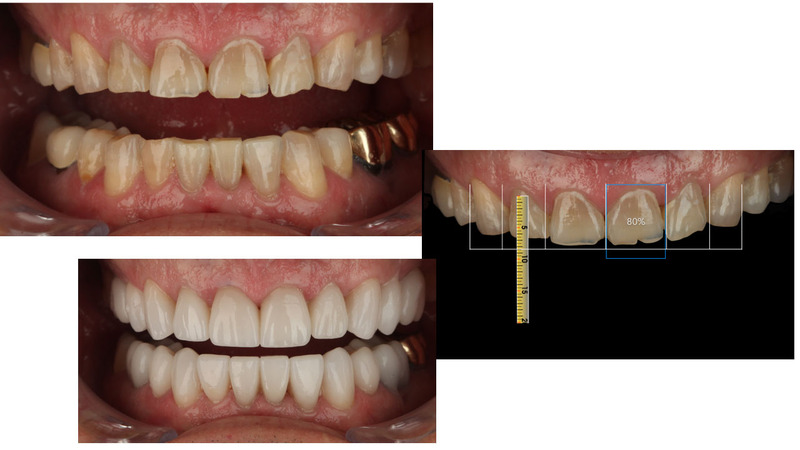 Planning a full mouth rehabilitation enabled us to add the tooth back that he had lost using porcelain veneers resulting in minimal or no preparation on her natural teeth and much more natural looking veneers.